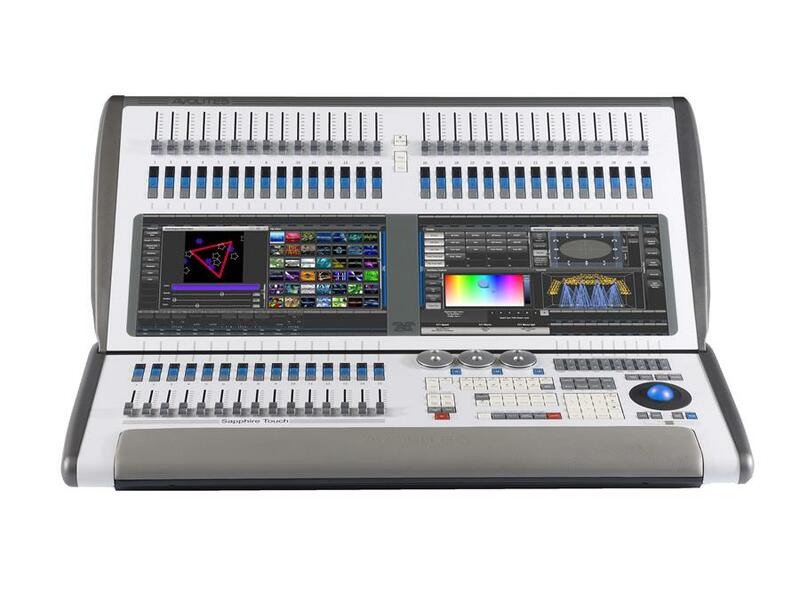 With the Avolites Sapphire Touch you can expect high performance, with more submasters, flash and executor buttons than ever before. At your fingertips the Avolites Sapphire Touch will offer power to control the larger, more challenging of shows. Program with two wide screen touch monitors gives you a large workspace area to deliver exactly what you need on stage. Tricolour optical trackball indicates fixture colour or functionality with unique ‘Saturn Ring’ control, giving X,Y,Z axis control simultaneously. The highest quality of performance engineering control. Production Hire own a state of the art Avolites Sapphire Touch for dry hire to support your live music event. Call or contact us for your free no obligation quote regarding Avolites Sapphire Touch dry hire. One of the Production Hire team will be happy to help.